Here at Leonardo Diagnostic Tool, we love everything involving supercars. We love the history of supercars, filled with drama and rivalry. Perhaps the most famous supercar rivalry is the one between Ferrari and Lamborghini. From the get go, the two companies were at odds with one another because Feruccio Lamborghini started his car line after being insulted by Enzo Ferrari. We love the beauty of supercars and, of course, we love the speed of supercars. If you didn’t love to drive fast, then you could settle for a more standard luxury car. Today, we would like to discuss some of the most beloved supercars, but there’s no way we could list all of them at once. When the Ferrari F40 was released in 1987, supercar enthusiasts were jumping for joy. Not only was this the last model signed off by Enzo Ferrari himself, but is also was made specifically to celebrate Ferrari’s 40th anniversary. At the time, this was Ferrari’s fastest and most expensive car Not only is this a beautiful car, but it also features a twin-turbo 2.9 liter V8 engine that can reach speeds up to 200mph. Many supercar enthusiasts consider this model to be the best Lamborghini ever made. This car’s claim to fame was that it was the first mid-engined supercar, which set the standard for most of the supercars of modern times. The mid-engined positioning allowed for excellent handling and balance as well as a low nose. Not only is this a powerfully fast car, this car is absolutely beautiful as well. Past Miura owners include Miles Davis, Frank Sinatra, and Dean Martin. Released in 2006, this car quickly sold out within two weeks. The goal was to imitate the two-seater style of the Alfa Romeo racing cars of the 1950s and 1960s. This car is particularly aesthetically pleasing because of its carbon fiber shield and huge back window. It’s 4.7 liter V8 engine, which is made by Ferrari, can reach speeds up to 181 mph. Considered one of the most famous Maseratis of all time, this model combines elegance with power. Only four of these cars were made, which makes them worth a pretty penny. If you have your heart set on purchasing this car, you will most likely have to pay at least $2,200,000 one. Considered on of the fastest cars out there, this vehicle boasts a hybrid powertrain engine that can reach speeds of up to 217mph. In order to purchase one of these cars, you will need over a million dollars. Its unique exterior is crafted out of carbon fiber and its control system is incredible. This car is known for its innovations in control braking, gear shift, traction, and more. This was the first model of Lamborghini ever made, tasked by Feruccio Lamborghini himself. At the time, 120 of these models were sold, and the famous Ferrari/Lamborghini rivalry began. If you work on supercars, then you understand the importance of using only the finest equipment. 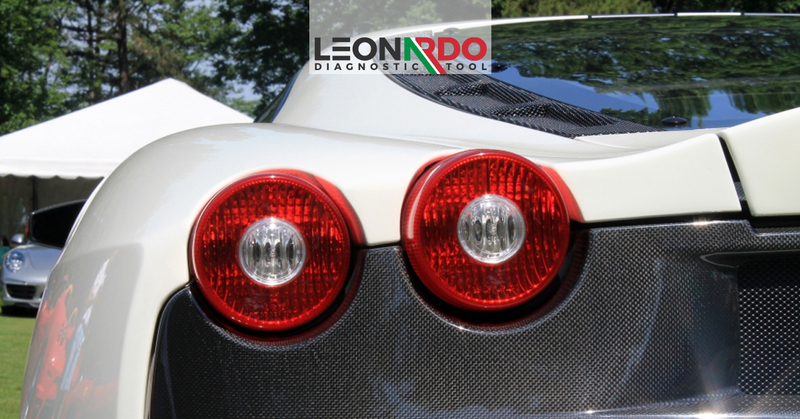 Contact Leonardo Diagnostic Tool today to learn more about our diagnostic car tool, which works on supercars such as Ferrari, Alfa Romeo, Maserati, Lamborghini, and more.